MANILA, Philippines - Keeping his promise to his fans, K-pop star Jay Park released his free English mixtape containing six songs, all of which he wrote in collaboration with other artists. 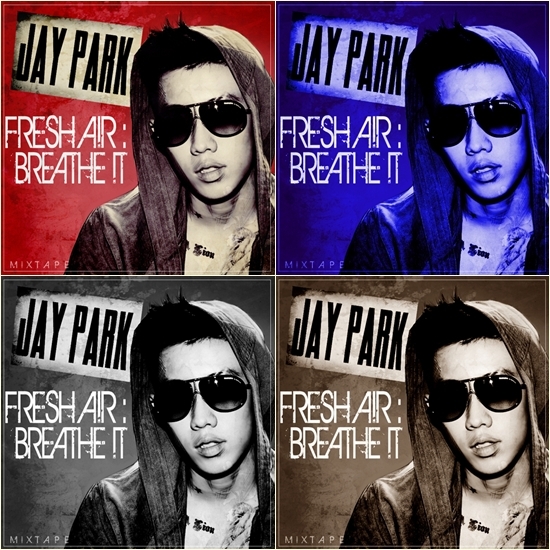 He released the mixtape, titled "Fresh Air: Breathe It," online on May 17. "Now yall can bump NEW BREED and FRESH A!R:BRETH !t ~," he tweeted before he released the songs. He added, "Better spread the link like wildfire ~ haha spam all ur friends with it...after all it is just free musik." The songs in the mixtape are: "Be With Me 2night," "BODY2BODY" and "Do What We Do" produced by Filipino-American Cha Cha Malone and written by Jay Park; "Hopeless Love" and "William Hung" produced by LODEFand written by Jay Park and Cha Cha Malone; and "You Know How We Do" produced by LODEF and written by Jay Park and Dumbfoundead. During his "New Breed" showcase in Manila earlier this month, Jay Park told Bulletin Entertainment that he's the first K-pop artist to have a mixtape. "Basically, I think I'm the first K-pop artist to release a mixtape," he said. Fans immediately downloaded the songs when the online link was posted on Twitter and YouTube. The downloading became overwhelming with more than 50,000 downloads that it exceeded the bandwidth. "Already got over 50k d/l on the media fire one, exceeded the bandwith lol use that link if u haventd/l'd yet," said Jay Park as he added another download link. Jay Park arrived in Washington, DC today for his APAHM (Asian Pacific American Heritage Month) Tour concert series. In Washington, DC, he will hold the concert at Fillmore Silver Spring on May 19 followed by his show at Best Buy Theater in New York City on May 20. These shows will be opened by Asian-Americans Dumbfoundead and Viennie V.
Jay Park will then hold concerts in San Francisco on May 25 and Los Angeles on May 27. Filipino-American AJ Rafael and girl group Blush will be the opening acts in these shows.